When we are being attacked from so many different directions, it’s important to get together and inspire ourselves. 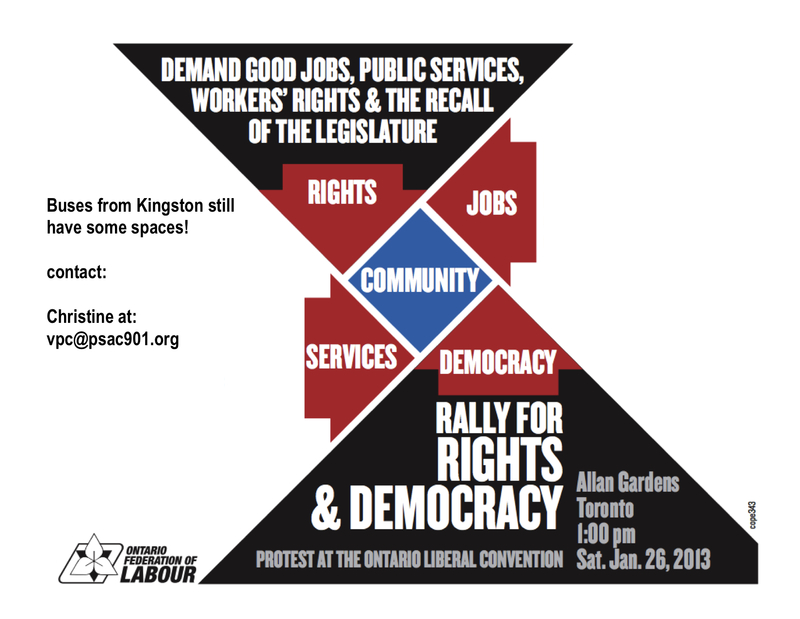 Come out to the Labour Day March! It’s important. It’s fun. It’s solidarity. We are in the process of updating our social media skills – it’s a slow process. 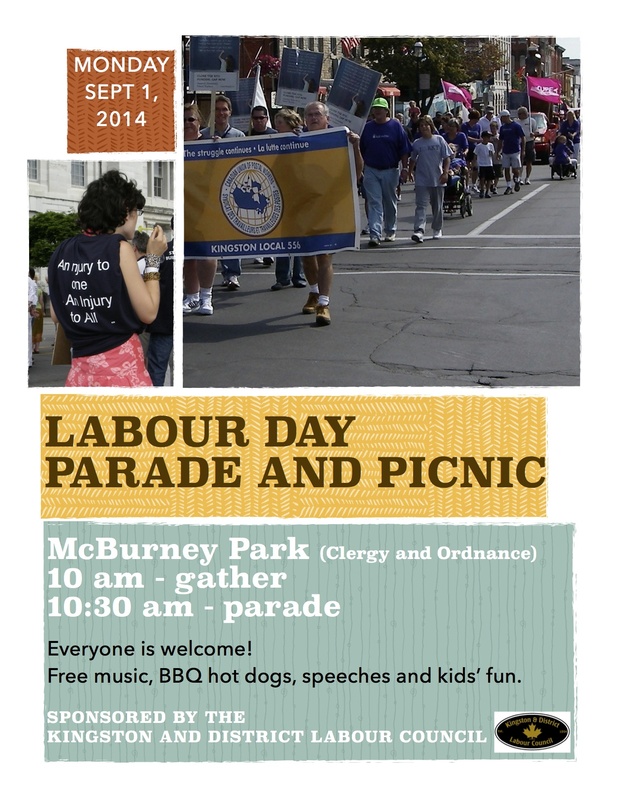 Check out our Labour Day information at the facebook page below. It will be updated as the poster is finished and details will be added as we have them. See you in the park!! Premier McGuinty put banker Don Drummond in charge of recommending nearly 400 cuts to jobs and public services in Ontario. At a time when Ontarians are in desperate need of economic recovery, these cuts will jeopardize every aspect of society: from health care to full-day kindergarten to pensions. No public service is safe. However, in McGuinty’s reckless plan to balance Ontario’s books by putting more people out of work and destroying the social safety net, he refuses to roll-back corporate tax cuts that are starving the province of billions of dollars that could be better used to create new jobs and help tens of thousands of struggling Ontario families to get back on their feet. Ontarians from all sectors of society must come together to tell Premier McGuinty that he cannot cut his way to economic prosperity. Ontarians need a job creation strategy and it is time that banks and corporations began paying their fair share. 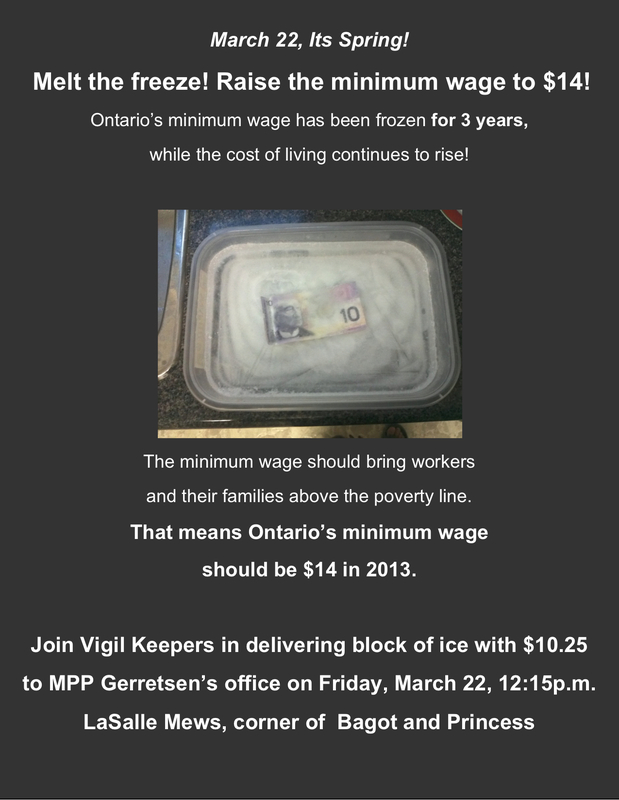 The Ontario Federation of Labour (OFL) is working with community groups and organizations across Ontario to call on workers, retirees, students and community members to join a mass rally at Queen’s Park from 3:00 to 5:00 pm on April 21 to demand prosperity, not austerity! Help to mobilize your members, your families and your communities to stop the cuts and put Ontario on the road to economic recovery. Help to mobilize thousands of workers, retirees, students and community members to join the Ontario Day of Action in Toronto to stop the cuts to decent jobs and public services and to demand an economic recovery for everyone, not just the one percent. People have been working hard at trying to establish what wage would allow Kingston workers to have a decent life in our city. Why is it so hard to reduce poverty and what happens when we fail to tackle it? 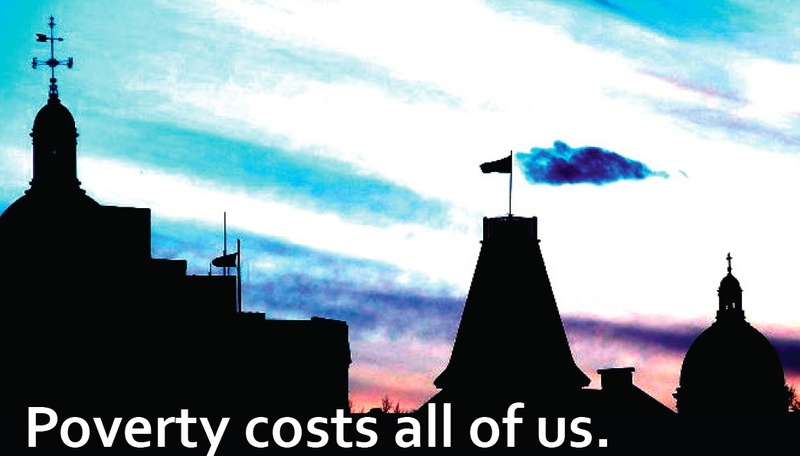 The truth is, poverty costs all of us socially and economically. We have failed to tackle poverty with targeted long-term investments over the life course of individuals. The result is that the cost of not reducing poverty is higher than the cost of the investments necessary to improve the lives of low-income families. How we choose to fight poverty is just as important as the question of how much to spend. If poverty were attacked the right ways, the savings from reducing it could be substantial and the improvements in the quality of life for all citizens, significant.